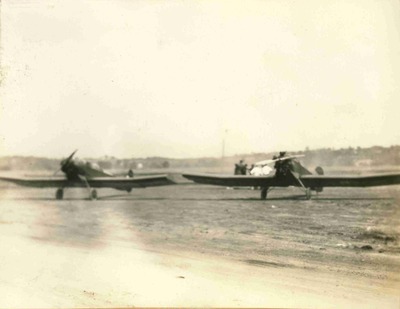 On the airport were two Barling low-wing monoplanes. These were with metal wing construction, fabric covered. They were from the home factory at St. Joseph and were anything by beautiful although very airworthy.